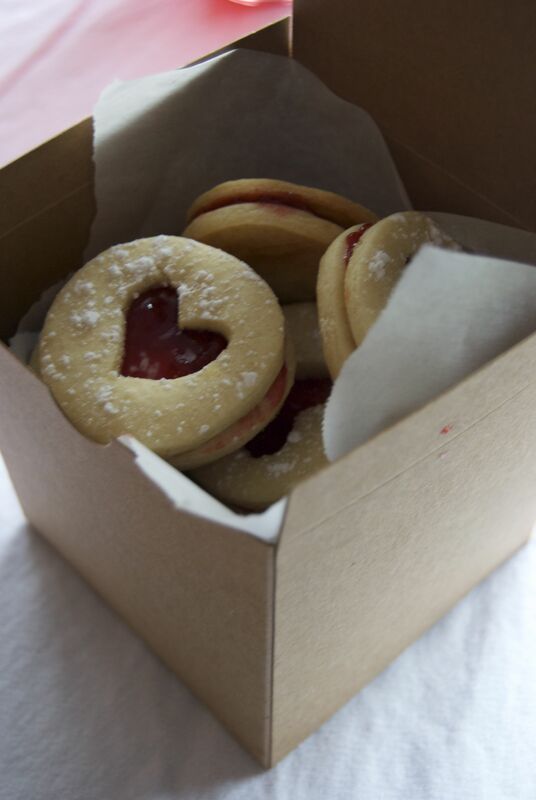 Love Is In The Air, Strawberry Shortbread. This is one of those movies that ticks all the boxes: funny boys with soft hearts (Owen Wilson and Vince Vaughn – tick), pretty girls with bizarre families (Rachel McAdams and Isla Fisher – tick), beautiful scenery and giant houses (tick). But most importantly it’s a love story and, being the hopeless romantic that I am, I need nothing more than a happy ending. As it turns out, March – June IS wedding season for 2011. This weekend we head north to celebrate with NB’s BFF, the following we’re back in town for a local ceremony and June will bring summer promises of love for the Renovators. Add to this the recent engagement of my own brother and my heart is about to explode with love! It’s a fun time to be a girl, when those nearest and dearest are getting married, because we get to ooh and ahh over dress designs, flower arrangements and menu plans, get wildly jealous over honeymoon destinations and enjoy all the dressing up for engagement parties, bridal showers, rehearsal dinners etc. I love it. Last Sunday NB and I were invited to a wedding shower where I knew the bride-to-be loved food as much as I did, hence the delicious Southern barbecue that was served up for guests. The last time this couple came over for dinner I only served up store-bought ice cream for dessert, so I thought something baked and something sweet would go down quite a treat. Sunday morning was bitterly cold, the perfect weather conditions for making biscuits. Shortbread is a fail-safe option when gifting your baked goods, not everyone likes chocolate and some may be allergic to nuts, but I have never met a pair of lips that would say no to buttery biscuits. I had a lovely bottle of local berry jam that I was eager to try and ‘With A Little Help From My Friends‘ it wasn’t long until the kitchen was filled with the aroma of warm cookies and I was swatting NB’s fingers away from the cooling rack. Tell me Blushers, what’s your favourite wedding meal? Line two baking trays with baking paper. Cream the butter, sugar and lemon in a medium-sized bowl with electric beaters until pale and fluffy. The add the egg, beating until just combined. Sift in the flour and baking powder and stir with a wooden spoon until combined. Cover and refrigerate for 30minutes. Preheat the oven to 180C 350F. Place half the dough between two sheets of baking paper and roll to 3/4 inch thick. 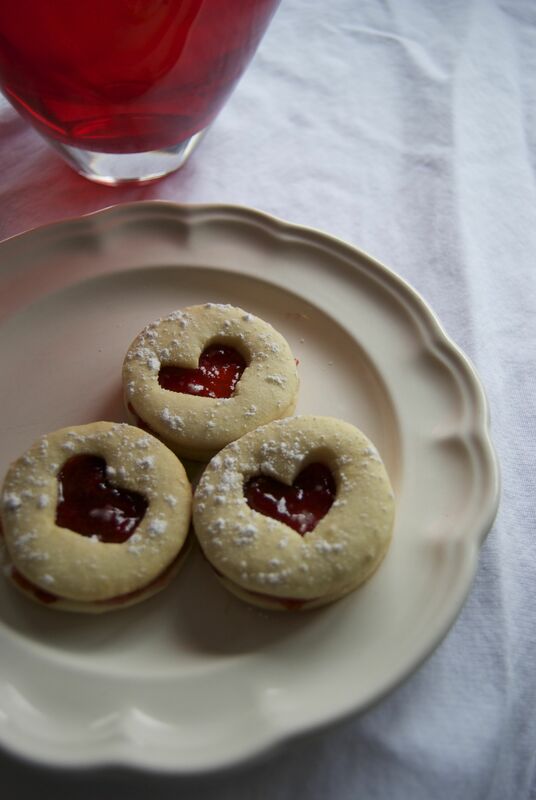 Use a 1cm/ 1/2 inch round cookie cutter to cut out 18 circles. Roll out second batch of dough and cut out circles, cutting out centre hole. Bake all biscuits for 8-10 minutes, then allow to cool for a few minutes before transferring to a wire rack to cool completely. Coat base biscuit with jam and top with cut-out circles to close. Dust with icing sugar. 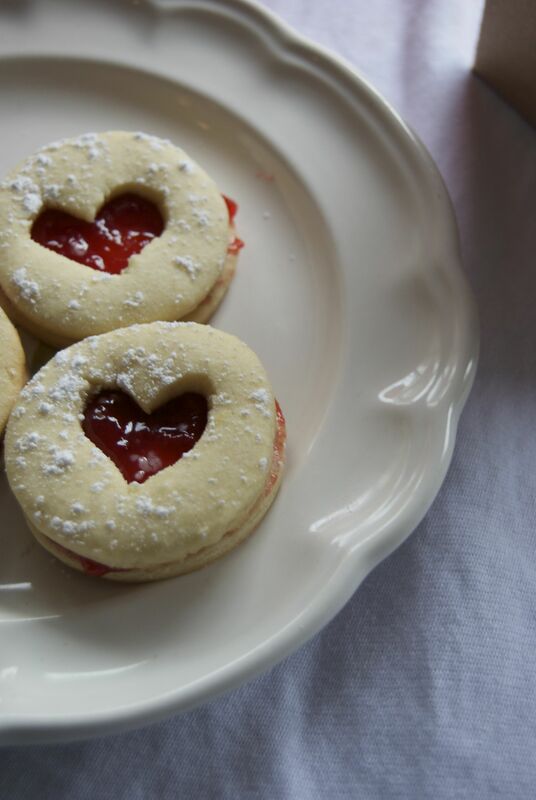 § 7 Responses to Love Is In The Air, Strawberry Shortbread. Oh I LOVE weddings, my little bro just got engaged and we are having party after party (which pleases me greatly) to celebrate. Its awesome, great food and wine, getting dressed up every other weekend ie: New Outfits + Shoes required to purchase, menu planning, venue inspections. FUN RIGHT?! My favorite meal are these delectable cookies! Amazing! Thank you bunches! P.S. Strawberry season in North Carolina is about 3-4 short weeks away! There’s a patch just south of Charlotte that we will have to visit when I move in May! How good do they look! I’d happily take a box. Favourite wedding meal?…It’s all about the traditional fruitcake. I’m sooo disappointed when it’s a chocolate cake at the end. your delicious little biscuits look fantastic and I am now about to get off my bum and bake for Major CFC-thanks for the inspiration Quackling !! Major CFC is one lucky fellow! 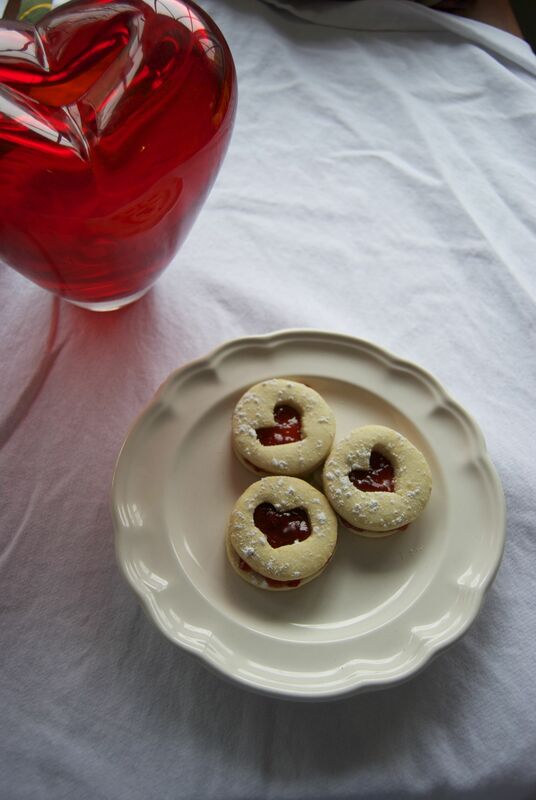 You are currently reading Love Is In The Air, Strawberry Shortbread. at Blushing Strawberries.